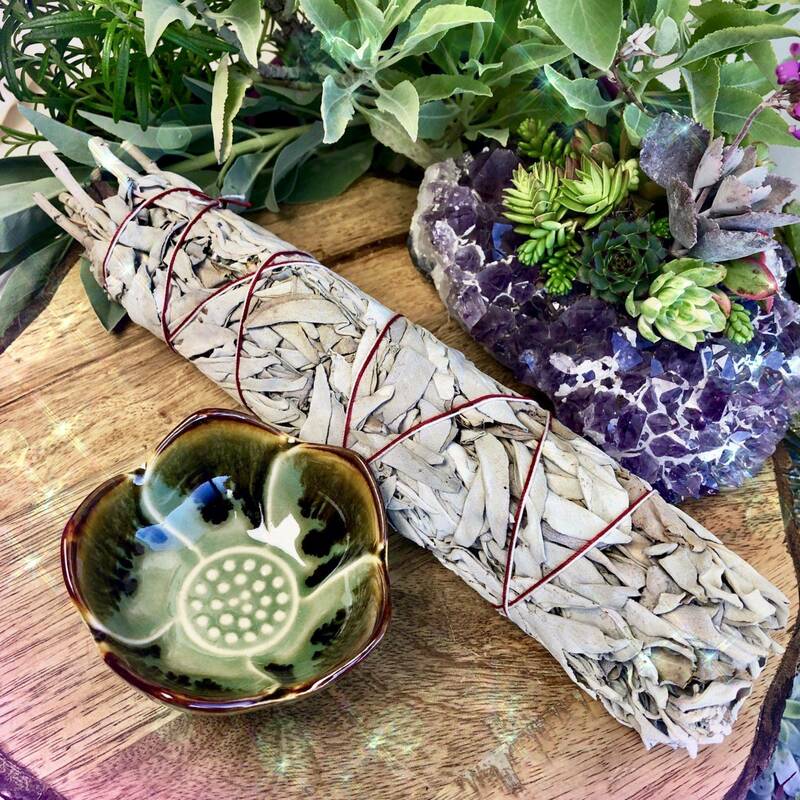 Do you love working with herbs and smudge bundles? Do you feel a deep connection to the lotus symbol? If so, you’ll adore these Lotus Smudge Bowls! 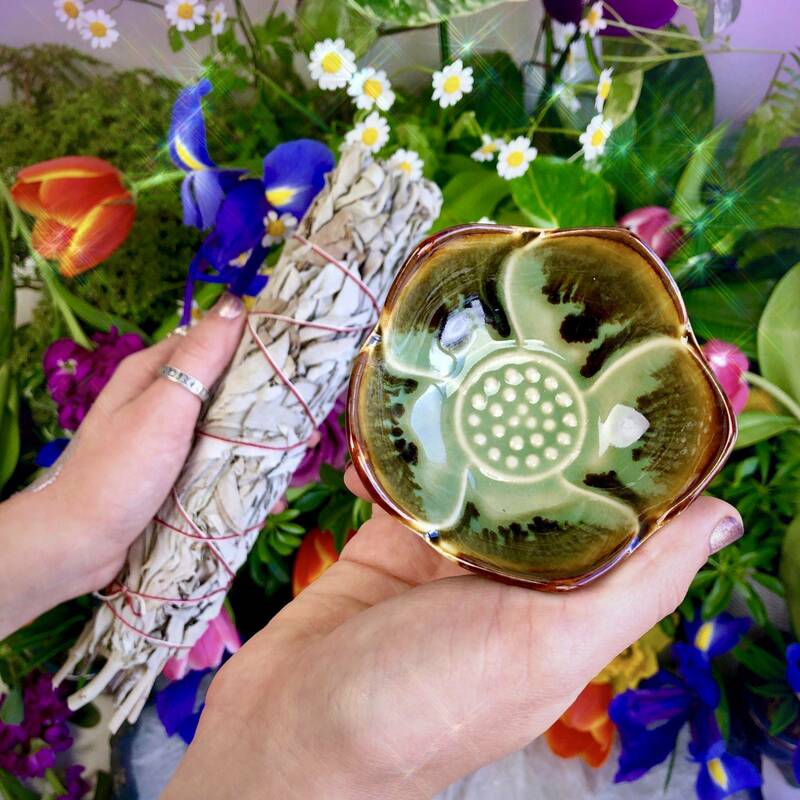 These gorgeous, green ceramic lotus bowls are intricately decorated with brown accents and are the perfect container for your favorite smudge. These bowls are intentionally designed for anyone who engages in magical and spiritual work. And, each one comes with a white smudge bundle for energetic clearing magic! In ancient Egypt, lotus flowers grew all along the fertile land that bordered the Nile. The Egyptians worked with the lotus in a number of ways – they would soak the flower heads in wine as an intoxicatingly fragrant drink for banquets, and use it as an aphrodisiac and ingredient in love spells. They believed this flower to be a source of good fortune and blessings from the Divine, and today, the lotus flower is still admired as an emblem of abundance, love, and creation. Throughout centuries, people have burned the sacred herb of white sage in order to clear and consecrate their space. The smoke of ceremonial white sage, in particular, is said to draw positive spirits and discourage the presence of any unwanted energy. It’s the smudge bundle par excellence. 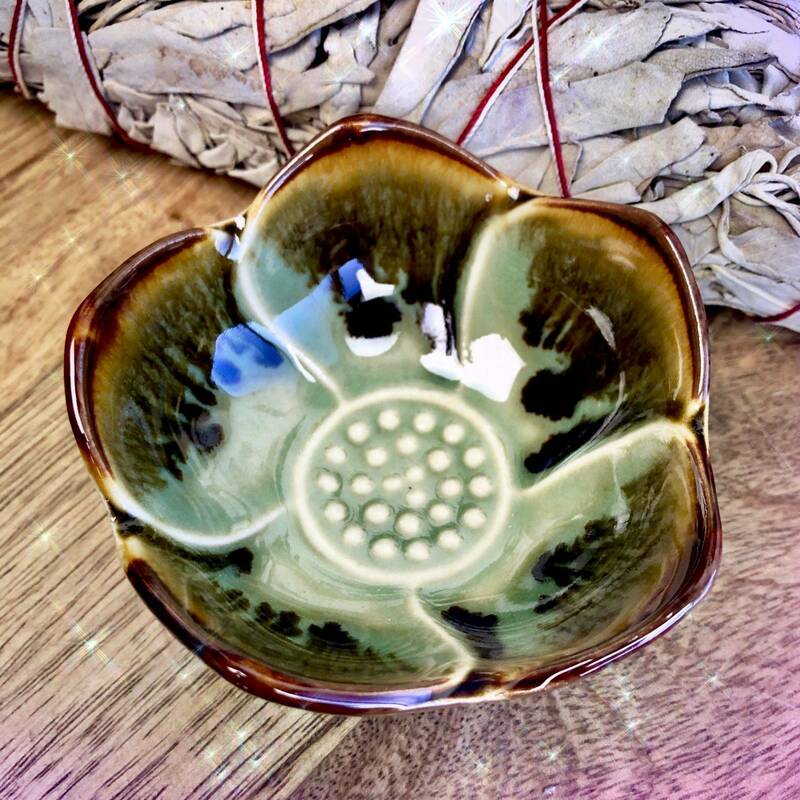 Embrace the beauty of the lotus symbol with these Lotus Smudge Bowls. These bowls will purify your space, lift your spirit, and nourish your expansion, so that you may rise up and reach for the Sun, just like the sacred lotus. This listing is for one (1) Lotus Smudge Bowl (about 3.25”x1.5″) with one (1) white smudge bundle (about 8”). Yours will arrive lovingly parceled for your enjoyment and delight. Note: Size may vary slightly due to their handmade nature.